We are now in the implementation phase of the NeW Education Framework, with a range of initiatives that have kicked off or are in planning. 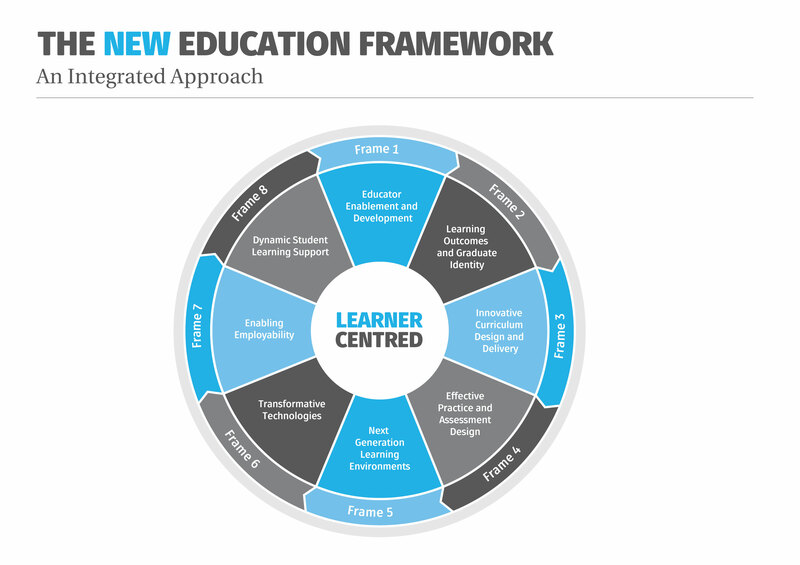 I am delighted to share with you the abridged version of the Framework, and to launch the establishment of the Educator Network: Promoting Collaboration, Innovation and Excellence (tEN). You can find all this and more on the Education Redesign SharePoint site. Please select this site as one of your favourites, and visit regularly to find out more about exciting developments in the learning and teaching space at UON. Teaching Innovation Investments (Ti2): Ten grants of $5,000 each for innovative teaching activities and the creation of learning objects, as well as action research and evaluation into the success of effective teaching innovations. Learning Lunchboxes: A program of lunchtime events to share practical ideas (that are intended to be immediately implementable) for engaging students in the physical and virtual classroom. Follow the links for more information, including event and application due dates. The Course Enhancement project (aimed at enhancing all our courses over the next number of years) has been activated largely through the Assistant Deans Teaching and Learning with the view to developing roadmaps of work for each faculty in the near future. I’m pleased to confirm that this important work is also being facilitated by Mark Kirby, Manager Planning and Quality, and Viv McComb, Senior Academic Developer. Online Strategy development is proceeding with Dr Clare Lloyd, Academic Director Online Learning Initiatives in a leadership and coordination role. Arrangements with two online providers are progressing and will support the development of our program prototypes. MOOC development work continues. The Learning Outcomes design project (looking at developing training, a toolkit, an online interactive module and a learning outcome building and testing tool) has launched with delivery of an initial workshop to academic staff and delivery of a pilot toolkit. Simulation Technology Pilot program (where simulation content is developed for use within degree programs but is done so utilising a prospective evaluation framework) has been initiated in partnership with colleagues in FHEAM, ITS, and the Academic Division. We are fundamentally rethinking our approach to Open Day 2018 and beyond, with the aim of bringing together colleagues and the community for a series of inspirational and engaging events and activities that really showcase UON and the exciting opportunities that we offer. Find out more about tips for Open Day 2018 on the Education Redesign Sharepoint site. Other projects include Digital Capability, Positive Academic Integrity, Student Engagement Tracking, Student Capability, and Student Mental Health and Wellbeing. Given the number of project we have in flow and the need to track these carefully Rebecca Reynolds has joined us as Program Manager. Bec will be familiar to some of you as she has been working in CTL over the last number of years. I hope this snapshot gives you an overview of how busy colleagues have been, and provides an overview of the strategic investments we are making in ongoing improvements to the student experience at UON. Thank you to everyone for contributing to the success of this work.